stability allowing exceptional screen open time. excellent coverage and opacity on dark fabrics. 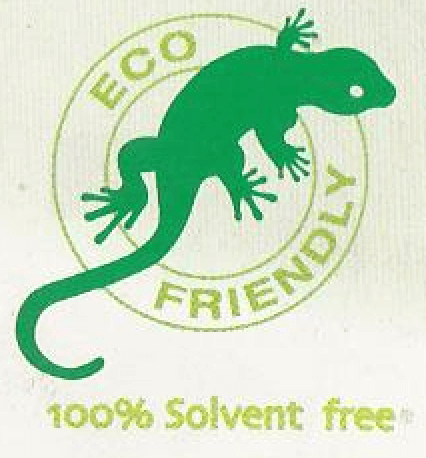 This 100% solvent free range is environmentally friendly. 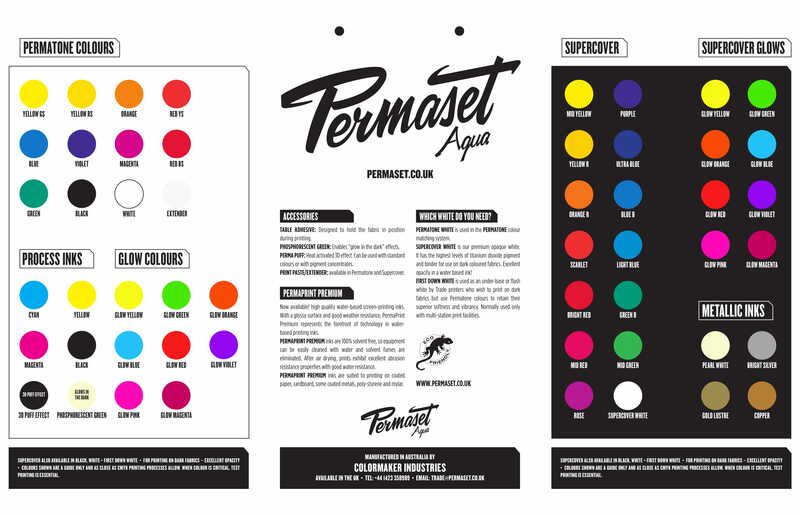 be cleaned up with water when wet..
Permaprint Premium is a waterbased screen printing ink that is formulated to provide excellent adhesion on a wide range of substrates. It exhibits exceptional water resistance once dried. This makes it a highly versatile multipurpose screen printing ink that is safe for the printer and friendly to the environment. Permaprint Premium inks are 100% solvent free, so equipment can be easily cleaned with water and solvent fumes are eliminated. 9 Standard Colours plus Standard + Opaque Whites, Black Extender, Clear, and Matting Agent.